The Amazon Spring Sale is about to come to an end. Eight days of price cuts which started on Monday 8 will end at 23:59 on Monday 15 April. So if you want to get your hands on a cheap Amazon device such as an Echo, a Fire TV stick, a Fire Tablet, or the new Kindle Paperwhite, you'll need to hurry. We've checked all the prices below and we're pleased to say that at the time of writing all the Amazon devices in the Spring Sale are in stock. Of course, we can't guarantee that they'll stay in stock all weekend if there's a rush of last-minute orders. Read on for a full rundown of those Amazon devices which you can save money on if you get your order in before Amazon's Spring Sale ends on Monday. We don't expect to see another Amazon sale until Amazon Prime Day in July. Amazon Echo devices let you ask Alexa to read you the news and weather reports and control devices in your smart home such as Philip Hue lights. The original Amazon Echo was launched in 2015 and since then, Amazon has launched more Alexa-powered Echo devices. 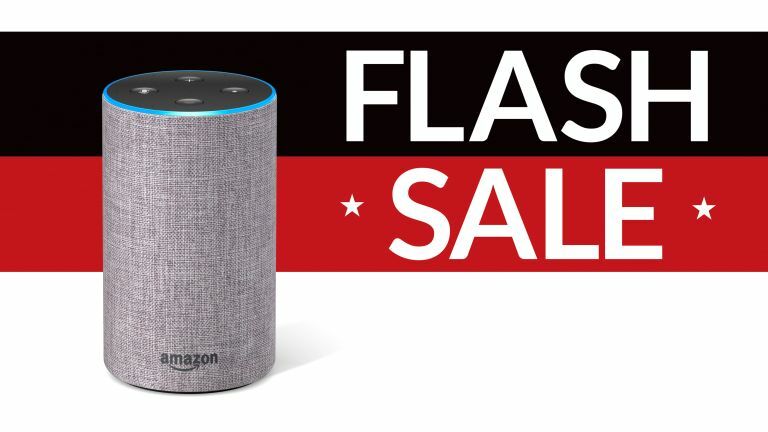 The Amazon Spring Sale sees the Echo Input reduced to £19.99, the standard Echo slashed from £89.99 to £64.99, with other Echo devices also getting their prices cut. Links to those price cuts are below. With Amazon's Fire TV stick you can turn any TV into smart TV and stream videos from Amazon, Netflix and more. There's an HD version or a 4K version and both are reduced by £15 right now. Amazon tablets are an absolute bargain when you compare them to iPads or Samsung tablets and now, in the Amazon Spring Sale, they're even more of a bargain. Both the 8" and 10" versions are currently discounted so if you fancy a tablet to watch movies on when you're traveling this summer, now's a great time to snap one up. The Kids Edition tablets are discounted, too, so you could get one for your little nipper while you're at it. If you also plan to do some reading on your summer holiday, then the all-new discounted Kindle Paperwhite should appeal. The new Kindle is now waterproof, so ideal for the beach, poolside or reading in the bath, while the built-in adjustable light lets you read comfortably indoors and outdoors, in the daylight and the dark. The best Cyber Monday watch deals 2017: Omega, TAG Heuer, Breitling, Casio and more!